Heritage Christian Services | Working for children, older adults, and people with developmental disabilities to feel valued and respected. Heritage Christian extends beyond disabilities services with its child care centers, farm, thrift store, therapeutic riding center, training division and more. Work supporting people with disabilities so they can accomplish what's most important in their lives - and we’ll help you accomplish what's most important in yours. While we celebrate decades of progress, people with disabilities desire and deserve common ground. Your advocacy and action remain essential. When you make a gift to Heritage Christian Services, you demonstrate your belief that all people have a right to a life of dignity, worth and expression. From the first neighborhood home in 1984 to now serving thousands through short- and long-term care services and community programs, Heritage Christian upholds the highest standards. When needs arise – like job coaching for adults or teaching students how to safely use social media – HCS steps in to fill the gap. Today our services span across 15 counties in the Greater Rochester and Buffalo regions. Our workforce is the key to our success. We’re growing and hiring people for our direct support role to work with people who have intellectual and developmental disabilities. CHSE raises service standards by providing education and development opportunities for thousands of employees in the corporate world and in the human services industry. 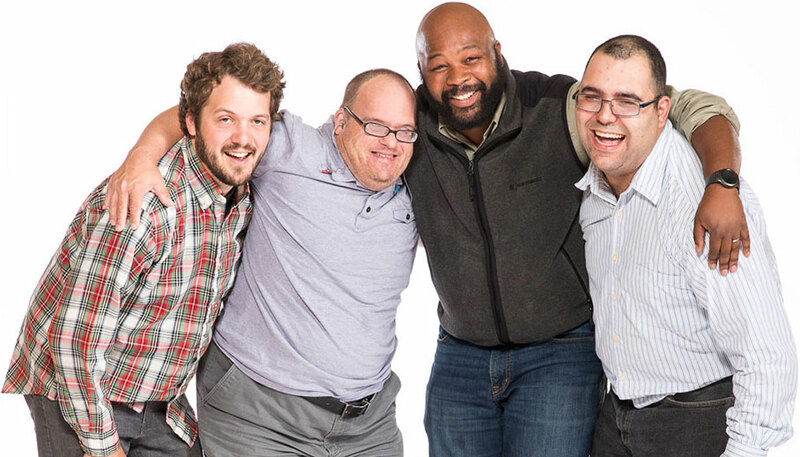 We connect business owners with talented job seekers so they can discover the benefits of hiring someone with a developmental disability. Our child care division offers three locations in the Rochester area that provide a unique family environment and creative curriculum to children through age 12. There’s barrier-free housing in Irondequoit at Ferncliff with 23 one-bedroom apartments. The building’s design provides maximum accessibility and shared attendant services. Our therapeutic riding program in Webster offers unique opportunities for physical, emotional and spiritual growth to children and adults. It is accredited by PATH International. This 84-unit apartment community is by Home Leasing and offers housing in Henrietta to income-eligible tenants. Some apartments are designed for accessibility and people served by NYS OPWDD. Our lakeside retreat in the Adirondacks is a place for people from HCS to relax and rejuvenate while enjoying the forest, mountains and sunsets. Submit your address and we’ll email to you our Spirit newsletter and agency updates. Growth requires vulnerability and courage – the courage to set aside winning or losing, praise or disappointment and just step out and be seen. Often it’s most difficult to share our personal expression of creativity, to share our experiences lived out through our art.